I always enjoy your recipes! Is there a way to print just the recipe? 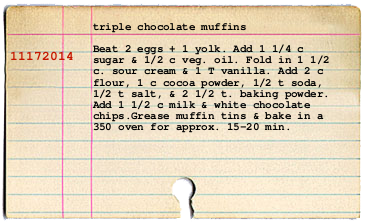 Triple chocolate in the name would lead one to expect 3 sources of chocolate in the ingredient list. I only see 2. Was anything left out? Also, what is the yield here? Reading this again, I'm wondering if there is no milk in this recipe, rather the 1 1/2 cup of chips is to be a mixture of milk chocolate and white chocolate chips. I think maybe that is what was meant. There is white chocolate chips, milk chocolate chips, and cocoa powder. Hope thst helps! so so you use 1 1/2 cups combined milk chocolate and white chocolate? 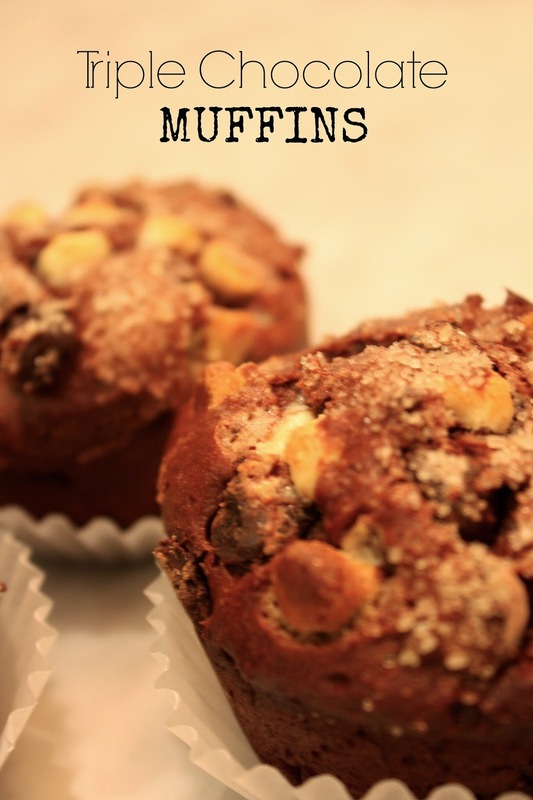 Because my husband just read the recipe and informed me that I needed to make these but with dark & milk chocolate. He also seems to think it needs 1 1/2 cups of each. Can you tell he likes chocolate?